Our unique tour sets out to inform and entertain as we take you into both the Old and New towns, giving you a real sense of the two sides of Edinburgh; revealing some of the secrets hidden within a city rich in culture and history. We will bring Edinburgh to life for you as we stroll along the narrow streets of the Old Town, revealing the secrets that lie hidden in its dark closes. 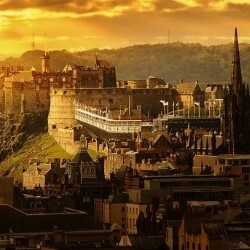 Accompany us to Edinburgh’s elegant Georgian New Town to get a sense of Edinburgh moving into a modern era.